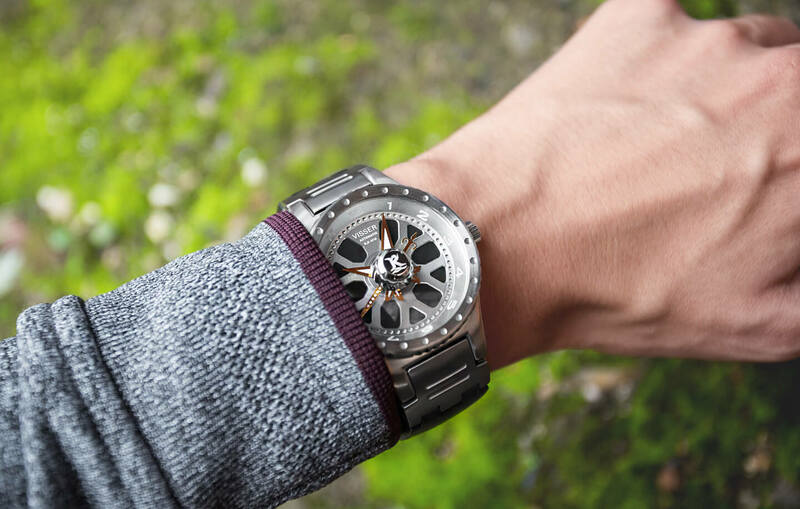 Legendary reel designer, Robert Koelewyn has focused his design talents on a new venture by introducing watches for outdoorsmen and anglers that like to own a great time piece which identifies them with the sport. The new creation came out of his design and development center located in Yangzhou China. The new watches are being sold under the brand name ‘VISSER’, again using the Dutch language to come up with the new brand. VISSER means “Fisherman” in Dutch. Previously he came up with VanStaal, ZeeBaas and 3-Tand. All well-known Dutch named reels sold worldwide. The Visser watches are made from high quality surgical stainless steel, aerospace aluminum, carbon fiber and a highly reliable Miyota mechanical movement. The watch band can be opened in seconds to either remove, put back on or switch watch bands. 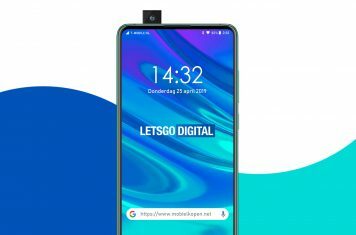 Last year, Koelewyn’s younger brother Bob joined the venture, assisting with management of social media, marketing, sales for Europe and design input. He brings along 30 years of Aerospace part manufacturing and management experience. Bob is based in the Netherlands. Together they are a great team giving momentum to the total development of the Visser Watch experience. Last week we received a test sample, your can read our full Visser Watch Ocen Blue review here. The new RK VISSER Watch Company is showing off the results of their labor on the world stage with their new website. It was a triumphant entrance as the company’s new watches are being talked about in the same breath as Van Staal, one of his most famous spinning reel brands, now owned by Zebco. Designer Robert Koelewyn: I am very delighted to now offer anglers and outdoorsmen a watch built to the same rigorous standards that Van Staal reels are built to. Reels must perform in tough environments, and so will our VISSER watches – it shows that we are doing something right. The most important thing in making a great time piece, is to ensure that it is available. Koelewyn said that for the short term the watches can only be ordered through the website. They will promote mainly using social media, however he says that certain exclusive retailers might carry the watches at some point. The company has a long-term plan to grow the brand around the world and develop other premium watches that deliver extremely good value at an affordable price. The Black Diamond model is similar to the VS model, except it has been treated with a diamond hard coating (DLC) this makes the watch virtually scratch proof and offers an esthetically beautiful satin black finish. Retail price: $829 USD. 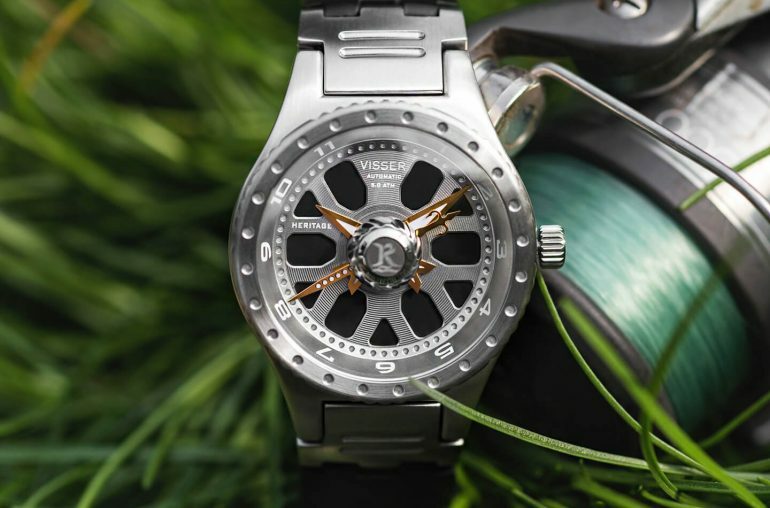 The Visser Series VS model is the original creation, grown and inspired out of aerospace and fly fishing reel design. The watch is all stainless with a composite light weight sectional band that includes the quick change band feature. Retail price: $769 USD. The Ocean Blue inspiration came from being offshore on the blue ocean using reels Robert Koelewyn just had finished building and needed to test the durability and function. This mind has been have applied to the Visser Watch brand. Fishing reels must survive in very harsh conditions, and so will the Visser Watches. The watch is made of stainless steel with a Blue anodized aluminum dial face and a Carbon Fiber segmented band. Retail price: $969 USD. The model Sea Green was inspired fishing the surf from the beach with full gear using Van Staal Reels Robert designed, catching fish while light green color waves were crashing in. An unforgettable experience. 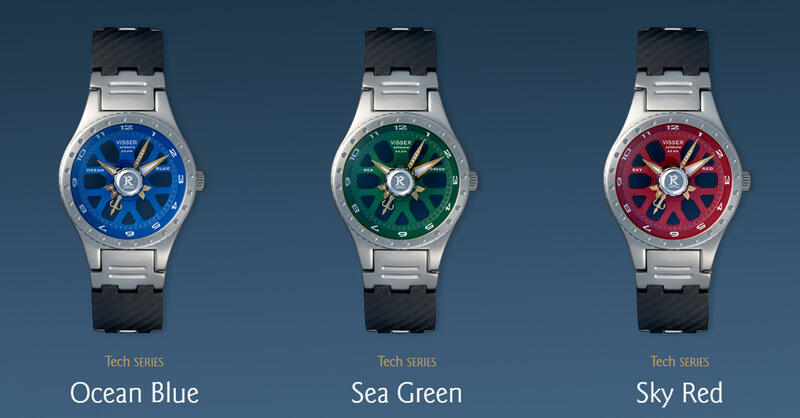 The Sea Green watch is made of stainless steel with a Green anodized aluminum dial face and a Carbon Fiber segmented band. Retail price: $969 USD. The model Sky Red was inspired from those times when fishing at sunrise early morning or at sunset when the importance of actually catching fish was overshadowed by the magnificent surroundings. The Sky Red watchis made of stainless steel with a Red anodized aluminum dial face and a Carbon Fiber segmented band. Retail price: $969 USD.